Provide comfort for the family of Harriet Keller with a meaningful gesture of sympathy. MECHANICVILLE - Harriet A. Keller, 82, of Harris Ave and longtime former resident of Waterford, died peacefully on April 1, 2019 in the comfort of her home after a brief illness. Born in Slingerlands on March 26, 1937, she was the daughter of the late William and Marion Marsh and sister of the late Patricia Sigwarth and Edward Marsh. Harriet worked for Pitney Bowes as a customer service agent for over 10 years until retiring in the late 90’s. Prior to that, she had a long career with the Teresian House Nursing Home in Albany where she worked as a switchboard operator. Harriet was a very active person who enjoyed being with friends, camping and while home enjoyed watching Wheel of Fortune. She had many meals at her favorite place, Bubbles Restaurant, where she became a known regular. Her and her best friend, Buretta Raucci, spent countless hours together, enjoying each others friendship and companionship. They did just about everything as a pair. Survivors include her children Diane(Wayne) Arnold of South Carolina, Sharon Bevis of Valley Falls, Debra(Richard) Nolin of Malta and James(Robbin) Keller of Missouri, grandchildren Jason(Tracy), Victoria, Kyle, Jordan and Giulianna Keller, Nicholas Guerineau(Brandi Pierce), Alyssa Nolin(Matt Healey) and Ashley and Alex Bevis, great grandchildren Jaxson, Layla, Teagan, Wyatt and Waylon and her sisters Lois Loux and Etta Mae Welch as well as several nieces and nephews. Calling hours will be held on Friday from 4-7PM at the DeVito-Salvadore Funeral Home, 39 S Main St, Mechanicville, NY 12118. Interment of Harriet's urn will take place on Saturday at 11AM at Bethlehem Cemetery, 286 Kenwood Ave, Delmar, NY 12054. In lieu of flowers, the family requests donations in memory of Harriet A. Keller to Clifton Park/Halfmoon EMS, Attn: Community Development, PO Box 1469, Clifton Park, NY 12065. 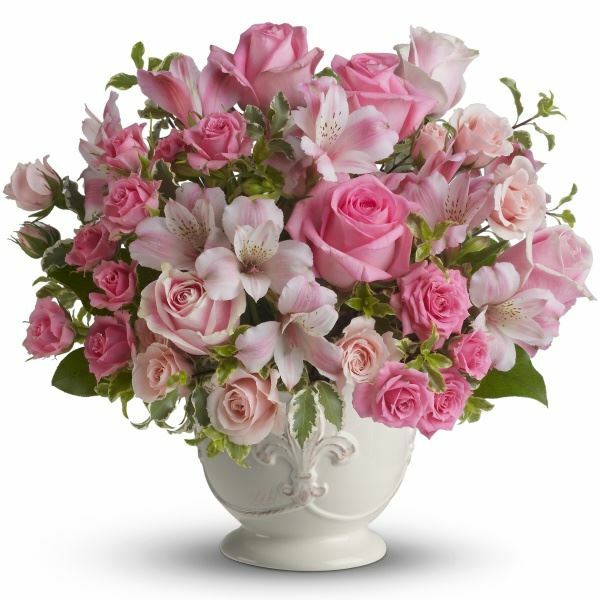 To send flowers in memory of Harriet A. Keller (Marsh), please visit our Heartfelt Sympathies Store. Donations are being accepted for: CLIFTON PARK & HALFMOON EMERGENCY CORPS INC (CLIFTON PARK-HALFMOON VOL AMBULANCE). Stef & Sean Stewart, Jamie & Mark Gentili sent flowers to the family of Harriet A. Keller (Marsh). Stef & Sean Stewart, Jamie & Mark Gentili purchased flowers for the family of Harriet Keller. May the family of Harriet A. Keller please accept my sincere condolences hoping you find comfort in God's words at Acts 24:15 and Psalm 37:29.